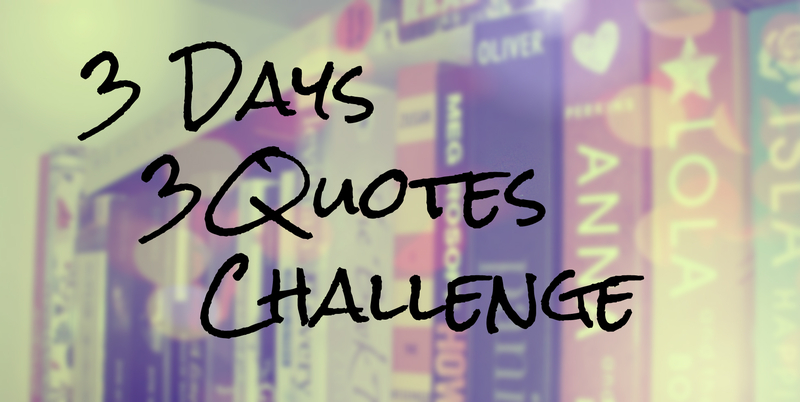 I have been nominated to do the 3 Days, 3 Quotes Book Tag or Challenge by My Tiny Obsessions. She nominated me a while back, before I went to Wales. I really like those sort of things, so thank you very much! You should check out her blog! She’s always up to date on everything cool that’s book, TV and movie related. 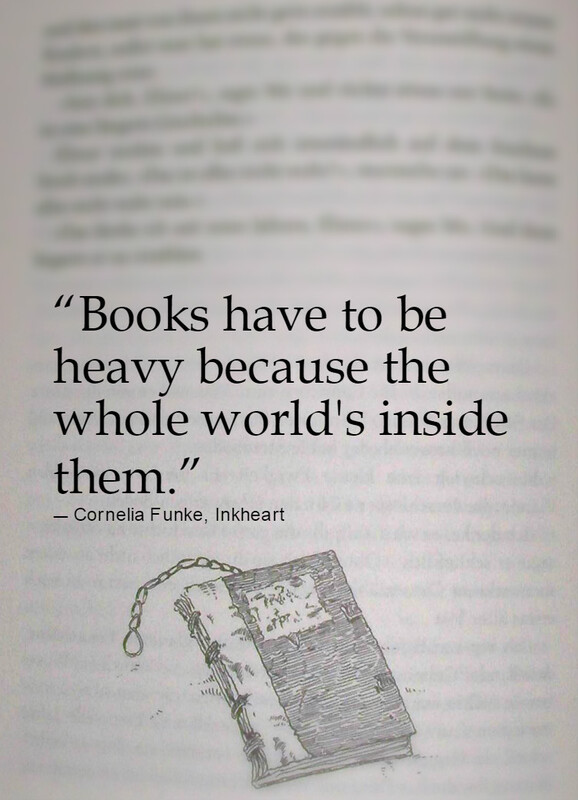 The first quote is from one of my favourite “childhood” books – Inkheart by Cornelia Funke. I feel like it’s very simple but very true, because each book I’ve read contained its own unique world that needed exploring and that grew on me with every page. I hope you have fun with it for a couple of days, like I will :)! Thank you 🙂 I love the book series. I don’t know if it would be too late for you to read it. I don’t think it’s really that childish but I haven’t re-read it recently, so I can’t be sure. I just know that I love those books. I mean it’s about people who can read characters out of books or themselves into books! How amazing is that? There are a lot of new books that you should probably pick up first, but who knows? Maybe it’s somewhere cheap in a second-hand bookstore or so. Just know that the first book is kind of the best, but of course the story is only whole with all three books. Also, I can’t really recommend the movie. I’ve had the movie forever, but never got around to watch it… is it not good? I’m not too happy with it. Some of the casting was great such as Dustfinger and Mo, but I wasn’t too impressed with the others. Also, things happened that would make it impossible to film the sequels. Therefore the other parts never got made and it has a bit of a cliffhanger ending. I love the quote so much!!! I think it is a new favorite! Thank you so much for nominating me! I’m super glad you like it 🙂 can’t wait to see which quotes you’ll choose!